Monday Mural and Signs | The Happy Wonderer ~ ellen b. Because we got in the car and traveled to places we’ve never been to before and because I saw some cool murals while on the trip I’m linking up to the Monday Mural Meme hosted by Oakland Daily Photo. And because we saw some cool signs along with these murals I’ll be linking later this week to signs, signs hosted by Lesley. 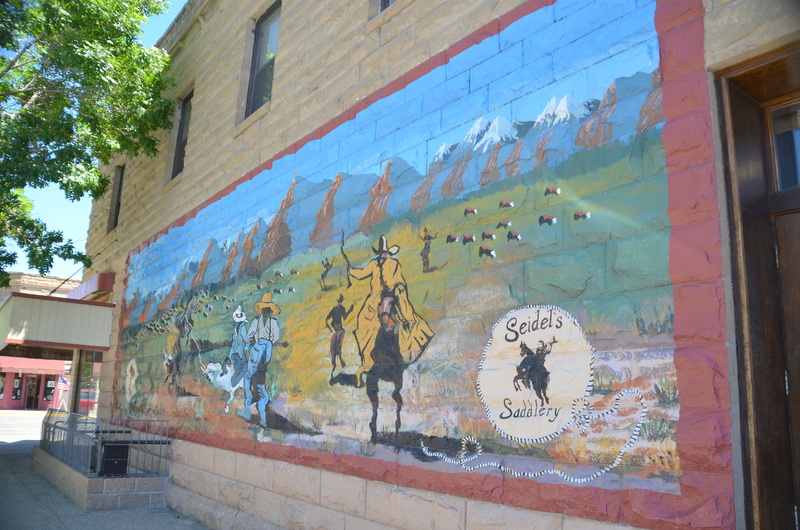 This mural is on the side of the former Seidel’s Saddlery across the street from the famous Irma Hotel named for Buffalo Bill Cody’s daughter Irma. 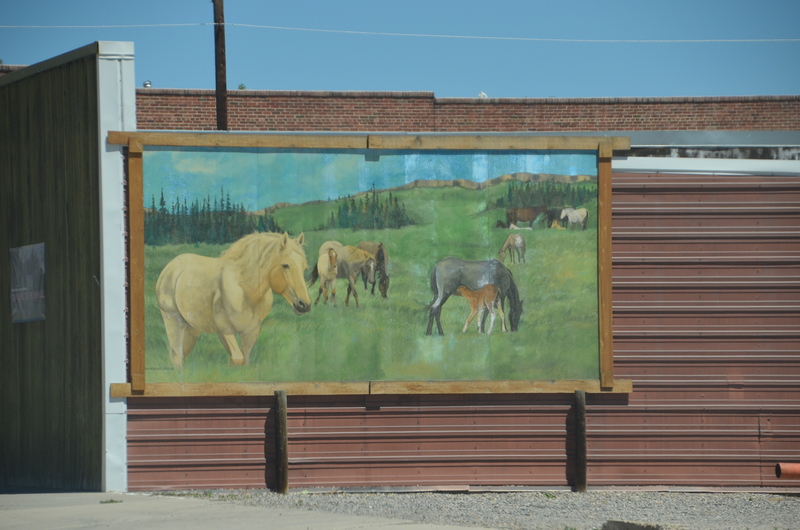 When we left Cody, Wyoming and traveled some country roads headed to Butte, Montana we passed another mural just before we traveled through Joliet, Montana. Monday in the Seattle area is starting a bit gloomy with some drizzles. So far our Spring was more summer like than our summer is showing. Time will tell what the rest of the summer holds for us. How are things in your corner of the world? Since today is 7/11 are you going to go and claim your free Slurpee? 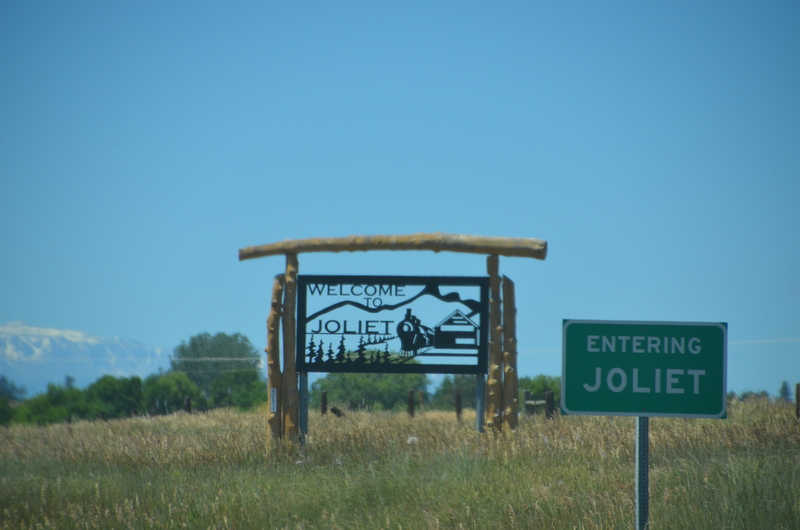 Posted on July 11, 2016 by Ellen •	This entry was posted in Montana, Signs, Travel, Wyoming and tagged Cody Wyoming, Joliet Montana, Monday Mural, Murals, Seidel's Saddlery, Signs signs. Bookmark the permalink. Hi Ellen, I just love these murals you’ve shared with us!! The one on the saddlery store is just gorgeous! We tend to have a lot of those in North Carolina, too, usually in urban areas on the side of buildings, and I always enjoy seeing them. Such a nice way to “pretty-up” the old buildings. Our summer right now is very hot and humid (although we got a nice break from the humidity Sat. and Sun.) We had thunderstorms every night last week and some power outages, too. I hope you have a great week, Ellen!! The murals you captured are beautiful Ellen. I always love seeing things through your lens!!! It is fun to see local art. Oh today was such a day of perfection that I can not even describe how beautiful…warm with low humidity. It inspired me to paint John’s fence at The Ponderosa…unheard of, but I wanted to be outside in the sun. Oh no I forgot my free Slurpee ;>) (i heard about that, but I have never actually tasted one, nor do I really want to.). Your murals and signs are lovely! I only ever find funny signs — need to open my eyes to some of the more beautiful and interesting ones! 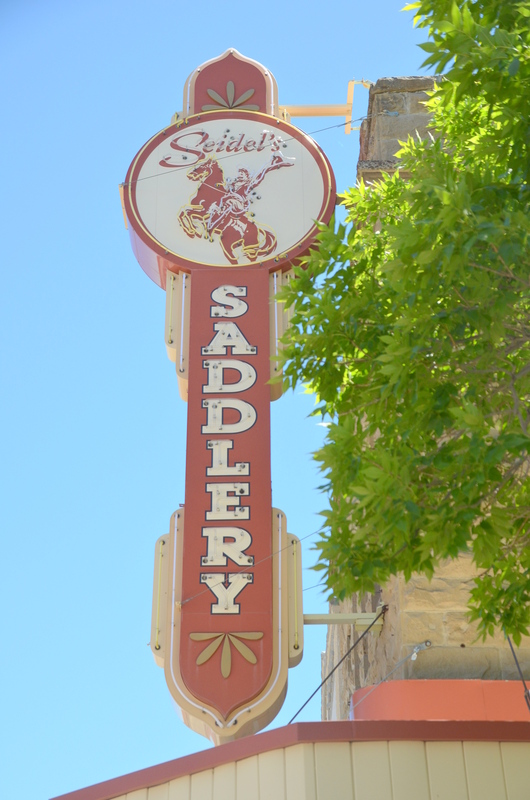 Seidel’s Saddlery sound like one of those tongue twisters! 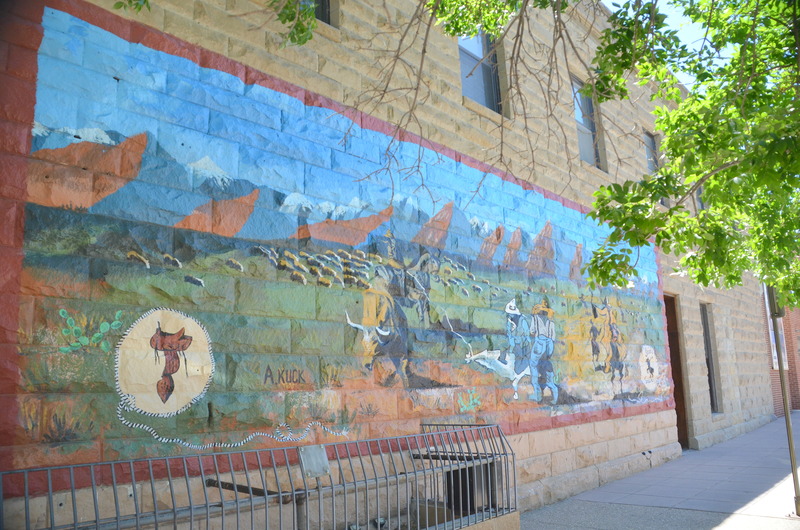 I love it when a mural tells a story or gives some historical background on a place. These are really nicely done! Great stuff, I really like the Siedel’s sign!